Nature-based BagasseWare® is a superior choice in sustainable, sturdy plates that are suitable for both hot and cold foods. These rigid yet lightweight plates are made from bagasse — the fibers that remain after the juice has been extracted from sugarcane. Instead of polluting the air by burning these sugarcane byproducts, the fiber is recovered, processed into a pulp, then heated, shaped and sterilized. 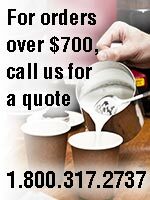 BagasseWare® plates are available in either elemental, chlorine-free bleached white or natural brown color. BagasseWare® plates are made from bagasse, the fibrous pulp that remains after the juice has been extracted from sugarcane. Rigid yet lightweight, these sturdy plates are great for hot or cold foods, microwave-safe, and 100% compostable. BagasseWare® plates are made from bagasse, the fibrous pulp that remains after the juice has been extracted from sugarcane. 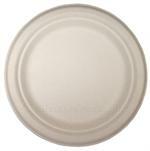 Rigid yet lightweight, these sturdy plates are great for hot or cold foods, microwave-safe, 100% compostable.